Sometime around the time Jean-Francois and I started dating, he presented me with a few books to read. Some were his favourites (Kurt Vonnegut), two were books he picked because he wanted to show that he “got me”. One, Foucault’s Pendulum, was a literary historical suspense thriller by Umberto Eco. It had me researching references for weeks. 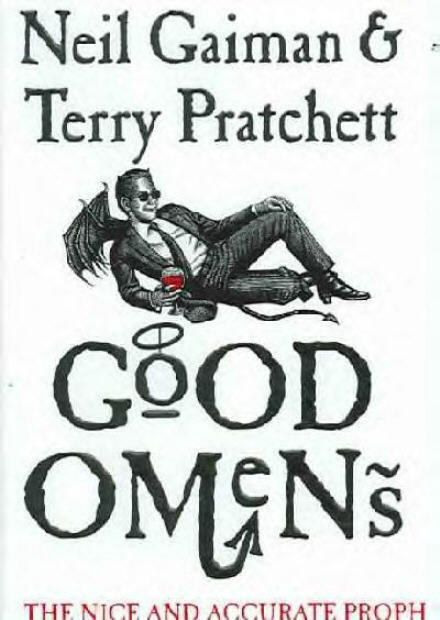 The other was Good Omens by Terry Pratchett and Neil Gaiman, a comedy about the Second Coming that was also lush in layered interpretation, jokes, allusions and generally good fun. There is one joke in Good Omens that is like a latent virus in my memory. It flares in response to certain events or topics centred on food and nutrition. It is a joke about one of the four riders of the Apocalypse: Famine. In this novel, Famine is a ruthless 1980’s business executive in the food industry. His latest two projects, Nouvelle Cuisine and Highly Processed Fast Food, both so beautifully meet his primary goal, that he cannot help being a bit smug. His goal, starving humans to death. Salt, Sugar, Fat: How the Food Giants Hooked Us by Michael Moss, looks at the science behind make food we crave–even if it is bad for us. I am on the second chapter of this one, and really loving his investigated challenge to these moguls. It’s like he wants us to ask them all: How could you not know that you are helping to make us all sick? Pandora’s Lunchbox by Melanie Warner is more about how the demands of our lifestyles created a market for processed foods that now is making us fatter, slower, and sicker. Combined these two books look at the relationship between our desire for convenience to enjoy the good life and our desire to make enough money to have the good life. And then there is Just Food by James E. McWilliams, published in 2009. This book looks at how those of us trying to make smarter, healthier, and more sustainable choices about what and how we eat, is creating deep anxiety in regular people. Basically we feel guilty all the time. Yes, Jean-Francois always did understand how to set my mind on fire. He still does. This entry was posted in Asides, On food waste and tagged eating green, famine, food, food industry, food waste, Good Omens, history of food, reading, sustainable living by Bonnie Lee. Bookmark the permalink. Wow. I listened to a Diane Rehm show (http://thedianerehmshow.org/shows/2013-02-28/how-processed-food-took-over-american-diet/transcript) a couple of months back on my Podcast – for which I’m also woefully behind – on Michael Moss’ book. It was a great show, I recall. You are so very right. America is both the fattest and most well-fed country in the world – though we are malnourished, much as the truly starving millions in Africa. We are being starved to death by the industry we haphazardly created. I’ll have to add Good Omens to my summer reading watching kids at the apartment pool. Of the four riders of the Apocalypse, Death is the cool one, but I think we woefully underestimate the insidious desires of Famine. It is a nice summer read. I hope you enjoy.